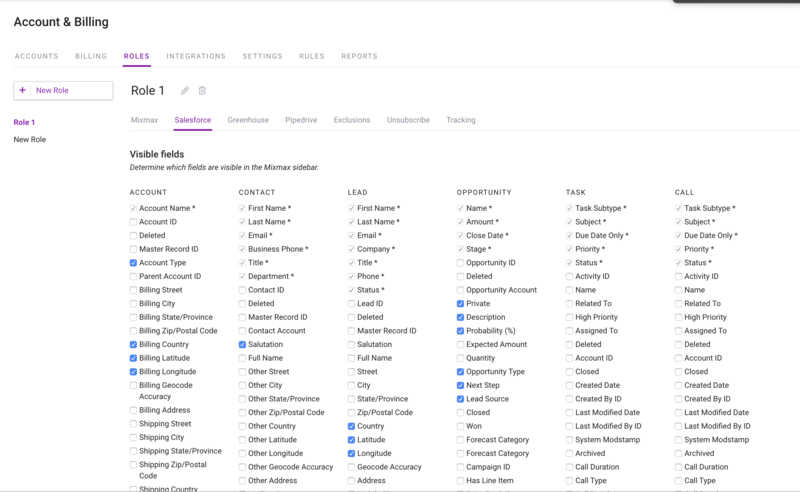 On the Growth and Enterprise plans, Salesforce users can see a sidebar in Gmail that shows information about each contact, lead, opportunity, and account whenever you hover over an email address. 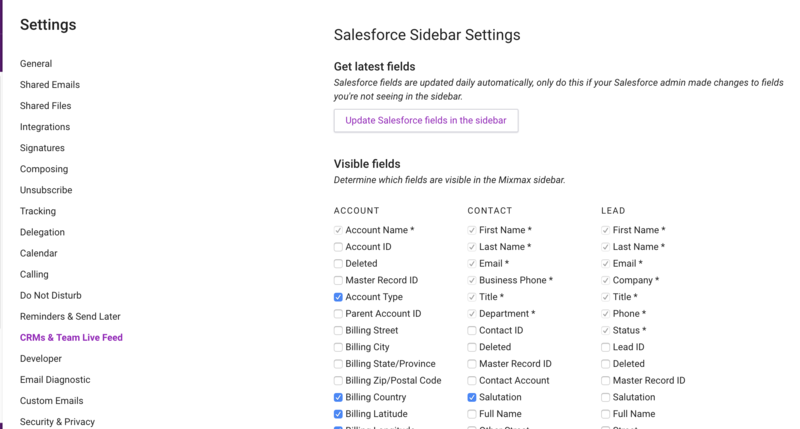 Thanks to our bidirectional sync, any changes you make in the Sidebar show up in Salesforce, and vice versa. If you're an Mixmax organization admin, you can control the default fields that are seen by the various roles in your organization. To adjust which fields are visible for each role, go to the Account and Billing page, select the Roles tab, then the Salesforce tab. Here you can select which fields are visible in the Salesforce side bar for each role. Check the "Individuals in this role manage their own Salesforce settings." box to allow members with this role to choose their own settings as described above.